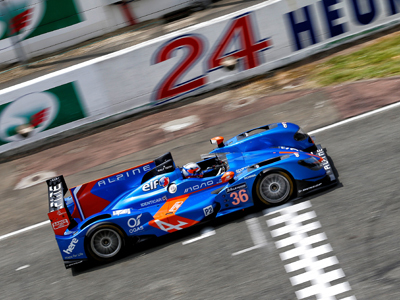 #24LM: Alpine finishes seventh and on the podium in LMP2! 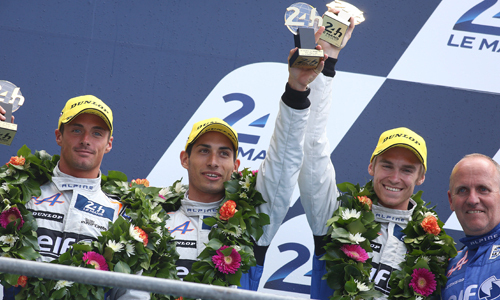 The Signatech-Alpine squad finished third in the LMP2 class in the 2014 Le Mans 24 Hours. 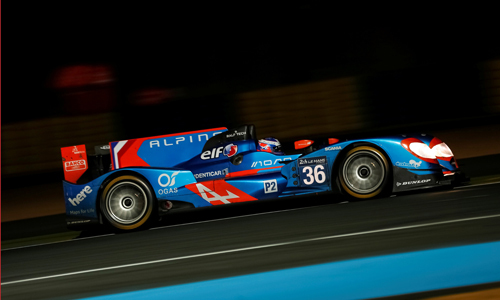 In the overall classification, the Alpine A450b – crewed by Paul-Loup Chatin, Nelson Panciatici and Oliver Webb – placed an excellent seventh. This sporting success was crowned by the Jean Rondeau Prize for Paul-Loup Chatin. Nelson Panciatici wound up with the fastest LMP2 class lap time of the race at 3:37.787 on the crew’s 326nd lap out of 355. 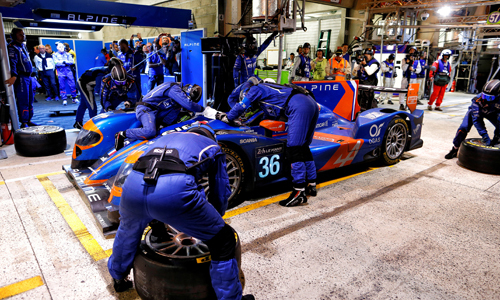 Since the beginning of its second season in endurance racing – a key element of the renaissance of the Alpine brand – no secret had been made oftheburningdesire to reach the podium in the Le Mans 24 Hours. After an initial year of learning, the team led by Philippe Sinault has accomplished its objective. At the wheel of an Alpine A450b that was competitive throughout the race, Nelson Panciatici, Paul-Loup Chatin and Oliver Webb made not so much as the slightest error to cross the finish line an outstanding seventh overall at La Sarthe, in so doing annexing a rostrum finish in the LMP2 class. The team was forced to make just two unscheduled pit-stops. Although both were perfectly managed by the technical crew, the precious seconds lost prevented Alpine from dreaming of an even greater achievement during the race’s closing stages.